This 5,800-page encyclopedia surveys 100 generations of great thinkers, offering more than 2,000 detailed biographies of scientists, engineers, explorers and inventors who left their mark on the history of science and technology. This six-volume masterwork also includes 380 articles summarizing the time-line of ideas in the leading fields of science, technology, mathematics and philosophy. 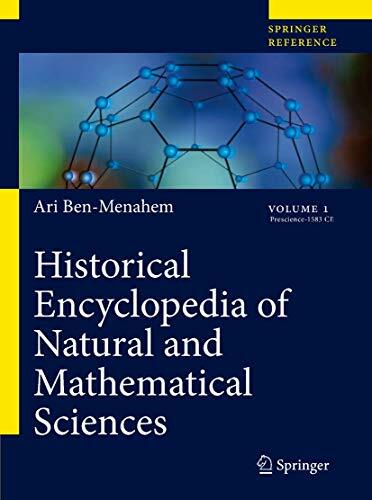 This milestone extensive work combines the essentials of history - biography, chronology, political and economic background - with the observations, theories, principles, laws and equations that constitute the specifics of science. The six-volume Encyclopedia also includes 380 articles summarizing the time-line of ideas in the leading fields of science, technology, mathematics and philosophy, plus useful tables, figures and photos, and 20 'Science Progress Reports' detailing scientific setbacks. Interspersed throughout are quotations, gathered from the wit and wisdom of sages, savants and scholars throughout the ages from antiquity to modern times.